It’s time for another Makeup Wars! This time we’re covering Emerald Green. Pantone has declared Emerald the color of the year! I’ve got 8 Great Greens to show you. The only color I don’t have on hand to swatch for you is Morgana Cryptoria Esmerelda. Cult Nails Coveted (nail polish) – a jelly, deep green with metallic green flakes and subtle green shimmer. 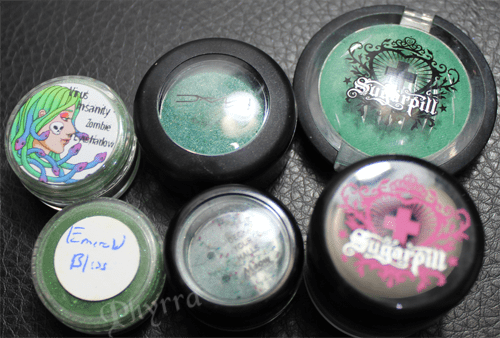 Sugarpill Midori – Vibrant green with a slightly pearl sheen. From tips to lips, I’ve got you covered for greens! Which are your favorites? 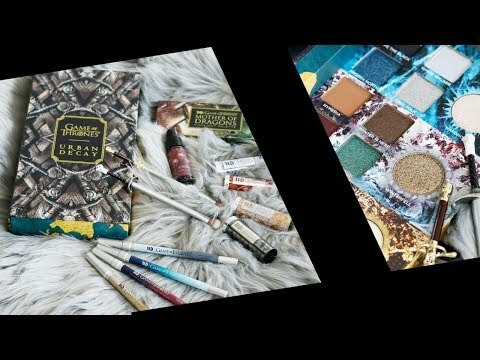 See what the other Makeup Wars Beauty Bloggers have chosen for Emerald Green! Nice picks! I like Toasted best! I can’t pick a favorite, I love them all. Although the only one that I own is Midori. I shall have to remedy this. 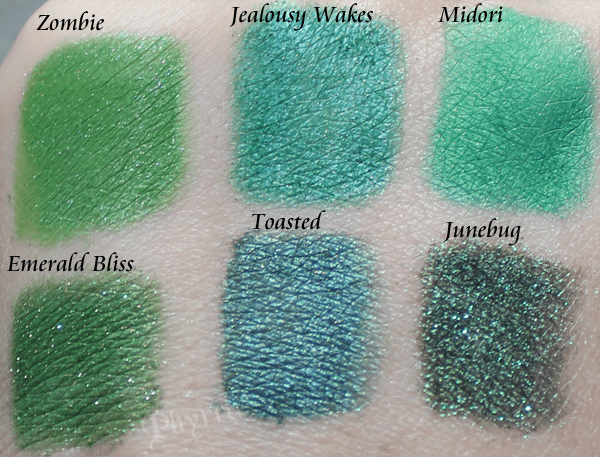 Junebug and Jealousy Wakes are so pretty! I knew you would have the best collection of greens! Oooh, I love June Bug! Jealous Wakes and Toasted are gorgeous!!! I love that you have Tips to Lips! You are the only one I’d expect a green lipstick from. Your greens are all beautiful. I love that polish! Oooooh! Junebug is sooo pretty! Great shadow selection!!! They are all so pretty!!! That Toasted color is so pretty in a blue green kind of way. Dang! Check out that green lipstick. And yesssss, I don’t know why I didn’t include Coveted in my post. It’s a fantastic green. ClumpsOfMascara Yes! It’s a bright green. Loving that Cult of Nails polish! I need to pick that up! KellyLoganGould It would look great on you. Love your picks! I have Coveted in my stash and I need to swatch it ASAP! So beautiful!